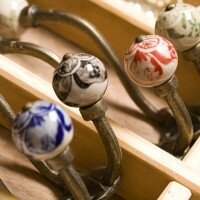 These elegant ceramic hooks look lovely all in line. Perfect for coats and other heavy items. 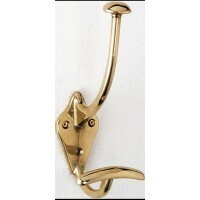 Wall f..
Edwardian style brass single hook. 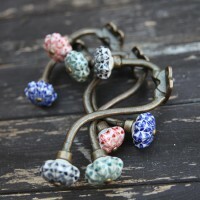 Measures; 150mm long, protrudes 110mm from the wall; &nb..
Kitu Ceramic Hooks - Antique Brass Super stylish, a little bit quirky and very practical, what mo..
A classic period design. 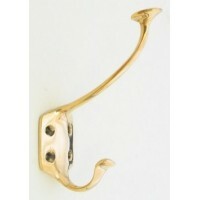 - Solid brass Acorn Coat & Hat hook, perfect for use individually ..
Picture Rail Hook - Cast brass. 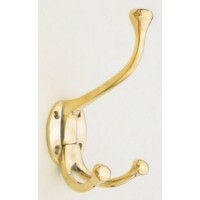 Decorative 'USA' style picture rail hook. 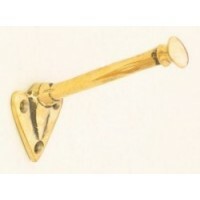 Stars & Str..
Picture Rail Hook - Cast brass. 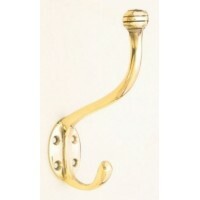 Decorative 'USA' style picture rail hook. Floral design. 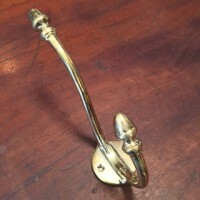 ..
Small Brass Acorn Hook - Solid Brass Lovely delicate hook with acorn finials, made in solid brass..
Veesitile brass triple hat & coat hook with an antique finish. Measures; 110mm long, protrude.. 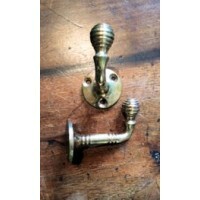 Plain and simple brass hooks with a reeded end. 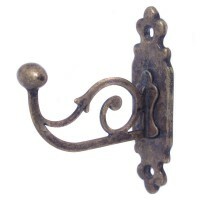 Measures; 150mm long, protrudes 110mm; Backplate..
Small simple brass hook with a large reeded end. Measures; Reeded end meassures 35mm and protrude.. 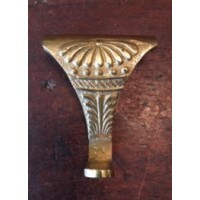 Elegant brass hat and coat hook. Measures; 180mm long and protrudes 70mm from the wall; Bac.. Plain and simple brass double hook. 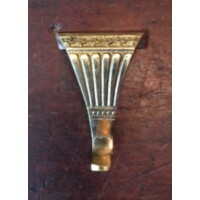 Measures; 150mm long, protrudes 100mm from the wall; Backpla.. 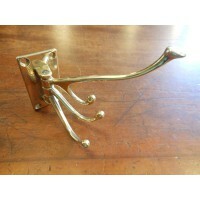 Useful little double hook with decorative shaped backplate. 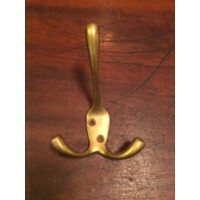 Measures; Backplate 53mm long and 34..
Folding Hook - Polished Brass OR Antique Brass Elegant folding brass hook, deal for the back of a.. 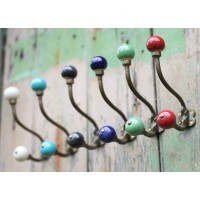 These gorgeous ceramic hooks look fantastic either on their own or all in a row, and they add a bit .. 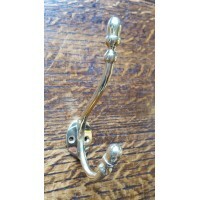 Most of our Brass Hooks are cast for us in a small foudary in Shropshire and have an unlaquered finish. 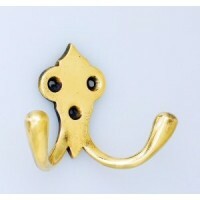 They are faithfully reproduced from original period hook designs. 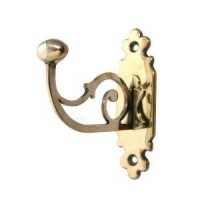 We guarantee that the Period Features selection of Brass Hooks is the best you will find on the internet or anywhere else and are only made from high quality materials to exacting standards.